Your international agency for professional voices, native speakers in all languages, voice actors, film-dubbing, advertising, computer games, audio books, animations, multimedia productions, recording studio in Berlin. Since many years we successfully produce voice recordings of all types in nearly all languages! 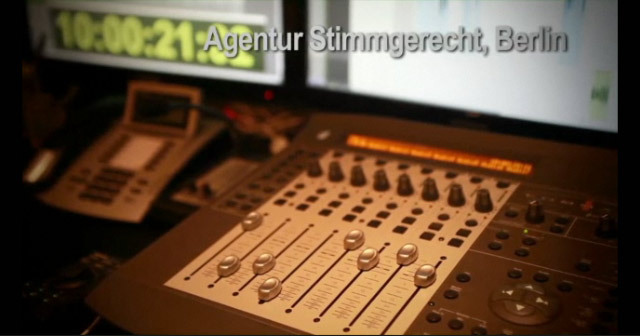 We will give your production the perfect voice in in every language! Agentur Stimmgerecht oHG is registered at Deutsches Patent- und Markenamt with a name mark description, registry number 30725329.